Durable, tagless collar. Raglan design for enhance motion. Full-color screen-printed crest on left chest. adidas® branding on right chest. Authentic adidas® 3-stripe® design. Our adidas Germany Youth Fan Home T-Shirt 2018 offers the iconic design with rich details is inspired by the team's winning heritage. 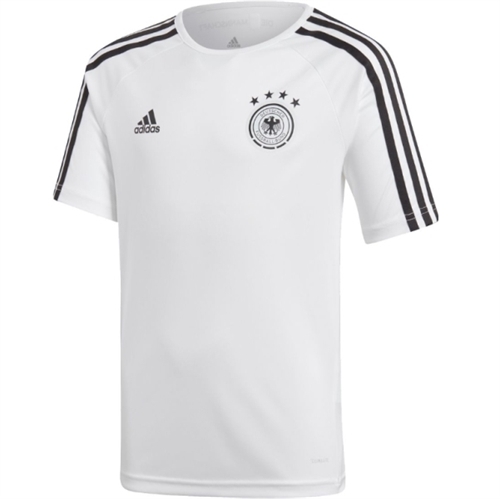 Features adidas® branding on right chest. Authentic adidas® 3-stripe® design.